Ginny, her mom, and Julie (her sister) attended CGA’s 40-year celebration. Ginny writes about it on her blog at http://www.ginnysfrieday.com/?p=121. She had a great time and said it was an emotional experience for her as many trips back to campus are. I shot some pictures at the opening ceremony. It was an impressive ceremony. Last weekend, Ginny and I attended a family reunion to celebrate 60 years of marriage for the Roses. 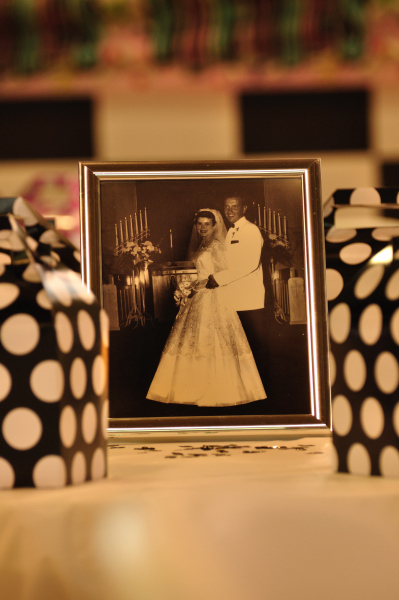 Mr. and Mrs. Rose were surrounded by their children, some of the people who stood up for them at their wedding, and several grand children and great grandchildren. We did some group shots, and then took some shots of the kids as they played. At one point, while I was taking a group shot of the children of the Roses, some of the great grandchildren made their way over to a set of chairs we had moved. One of the relatives yelled, “Get that shot.” I turned the camera just in time, as they started to climb out of the chairs just as quickly as they got into them. It was really funny to watch the kids follow each other from one setting to another. Ginny caught several shots of them playing in the sanbox and on the swing set. Some of the kids played in woods where they climed into trees and chased each other. We had a great time photographing this family, as we witnessed how special it is when families get together to celebrate a long marriage. Ginny commented that it was nice that all of the families can get together, and one of the great grand kids said, “We do it all the time.” It’s unusual to see such large families getting together with such busy schedules, so we felt we were part of something special. 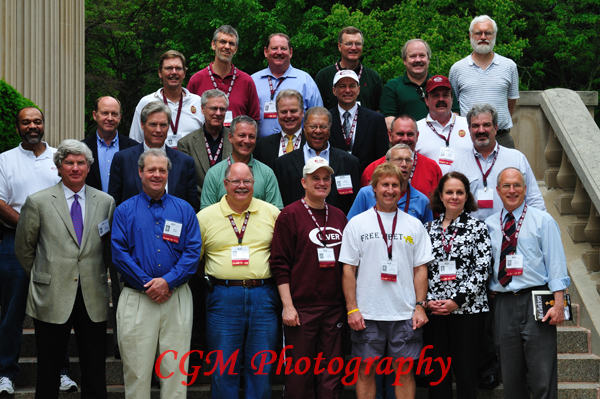 On Saturday afternoon, after the Crew Regatta, I was tasked with following and photographing Culver Academy’s Class of 1970 as they enjoyed their various events during their 40th Reunion. This shoot was a whole lot of fun, and the alum were great. It was a pleasure to be around for the hours I spent shooting them. I hope my class has as much energy, charisma, and fun in 2027 when we’re back for our 40th. I took EVERYTHING with me on this shoot: lights, flashes, multiple cameras, multiple lenses, spare batteries. I looked like I was moving when I first met up with the group, but I’m glad I had equipment for all lighting, as I was with them for several hours. I’ve posted some photos here. Others can be found at www.culverphotos.com/1970. Please note that some of the people in the individual photos are spouses or guests of the Class of 1970. The group photo shows the graduates. This past weekend, while I was in Vegas, Ginny did a photoshoot in Indianapolis for her sister Angie. Angie, her husband Darin, her brother in-law David, and David’s fiance Kerry Ann hosted a 50-year anniversary party for Angie’s in-laws, Mr. and Mrs. Carl and Judy Martin. The Martins are from Knightstown, Indiana. 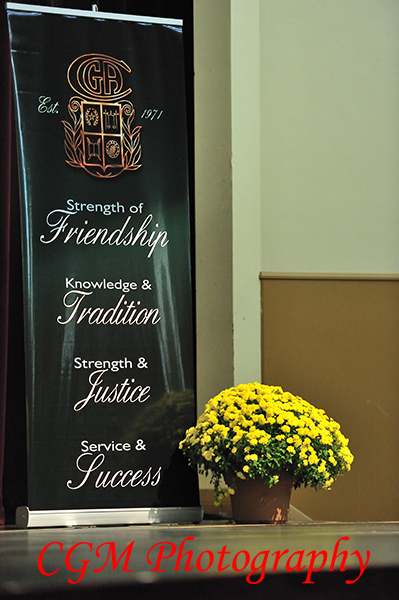 Their 50-year anniversary party was held at the famous Hoosier Gymnasium. This is where the movie The Hoosiers was filmed. Ginny went down to help her sister prepare for the party on Friday (they did the decorating), and then she took pictures of the event on Saturday. Ginny said it took her an hour to find settings that would work with the unusual lighting in the building. There were lights that had to heat up hanging from the ceiling, and there was natural light coming through windows that were high up above the bleachers. Ginny said, “This gym was incredibly beautiful from the standpoint of vintage 50s. It was the perfect place for a 50s party, which was the theme of the party, but it was really difficult figuring out the lighting situation.” She said that getting unobstructed shots of all the guests while they enjoyed the party was also difficult, as there were a lot of people and a lot of decorations. However, she also mentioned that the music was fantastic and she enjoyed watching people as they enjoyed the 50s atmosphere. They had an ice cream bar that was a huge hit. And, as you can see, some of the guests dressed the part for the party. Ginny says that as usual, she found the kids at the party and couldn’t resist taking some pictures of them. 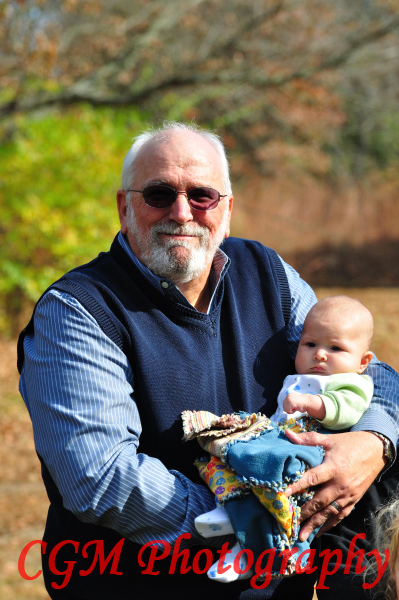 I like the shot of Carl and his grandchild Lucy, our niece. We met the Martins when Angie and Darin got married. They are as kind in person as they look in their photos. Ginny said that there was a lot of love in that old gym. She picked a selection of pictures from the evening. Happy Anniversary, Carl and Judy!